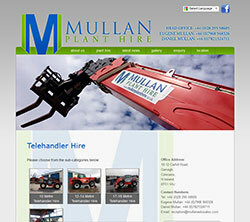 Mullan Plant Hire provide a range of Excavators, Telehandlers and Backhoe Loaders available for hire anywhere in the UK and Ireland. 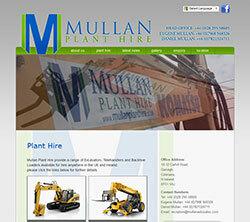 With Â£7,000,000 of plant equipment alone in stock at all times, they are one of the market leaders in the UK. 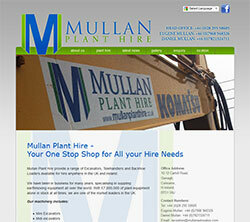 Get a Free Quote from WMC for upgrading your site Now!